mBK has long been known in the industry for its innovation leadership. As one of the leading manufacturers in the welding machines and reinforcement systems for the civil engineering and the concrete precast industry, the global player responds promptly and flexibly to the requirements of a rapidly changing and innovative market. MBK is constantly working to continually improve and expand its large product portfolio to provide solutions to customers around the world that can generate real competitive advantages. In all developments, the individual requirements and needs of the customers are taken into account and this high degree of individualization is professionally realized. With the new cage welding machine ASM for the flexible production of reinforcement for driven and bored piles as well as supports and masts MBK expanded its range of products. 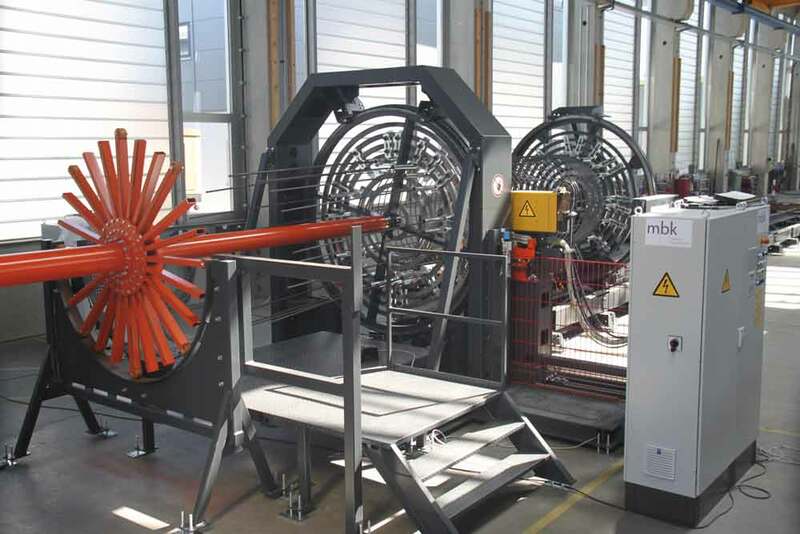 MBK presents a machine that allows flexibility, individuality and economy all in one. This guarantees a high degree of investment security. With the ASM cage welding machine, round reinforcement cages with outer cage diameters of min. 236-274 mm up to a maximum of 1,536-1,575 mm – depending on the number of longitudinal wires and wire combinations – can be manufactured. A maximum cage length up to 24,000 mm is possible. 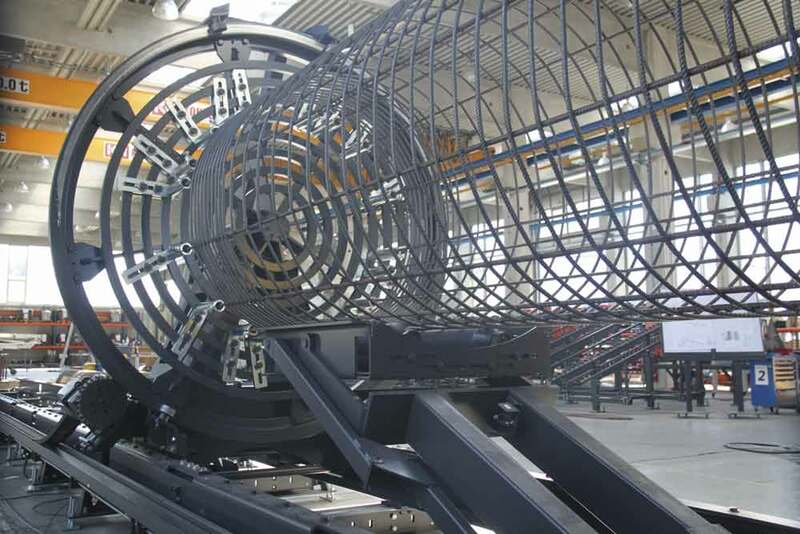 The number of longitudinal wires is freely available, the longitudinal wire diameter is 12-25 mm, optionally at 12-32 mm – asynchronous divisions in one cage are also possible. The winding wire diameter is 6-12 mm and is also available in the dimensions 6-16 mm (option); the spacing of the winding wire is located at 20-250 mm. 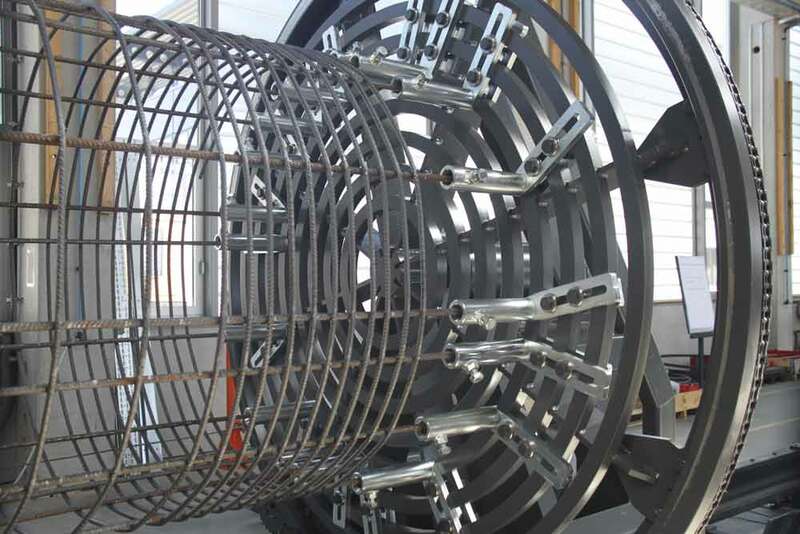 The wire routing of the winding wire is carried out by the coil via wire guide stand and the guide rollers through the wire guide to the welding roll. A hydraulic cage support during production and cage removal is part of the stable production process. The ASM is available in various variants and welding processes: manual welding by hand, arc welding 1-fold and several times as well as resistance welding are among their convincing features. The ASM is operated via a touchscreen, which ensures a very easy handling also with regard to programming or setting of the reinforcement cage and welding data via stored programs. The uncomplicated storage of the reinforcement cage and welding data via corresponding programs means a noticeable relief for the employees in everyday production. By default, the machine is supplied for the production of structural steel reinforcement cages for columns, bored and driven piles as well as masts in right-hand version, but on request it is also available in left-hand execution. Maximum individualisation is a company philosophy of MBK. Together with the customer and the in-house technical team, the individual coordination of the machine specification is carried out on the client requirement profile. In addition to this philosophy, a high service concept determines the company’s everyday life at MBK. Via LAN-/WLAN a valuable basis with regard to uncomplicated online remote maintenance is created. Customer orientation at MBK is also the active communication with customers and the quick reaction to their requirements and wishes. This is made possible by a system of worldwide networking between customers, partners and branches, where needs become ideas. These ideas are then developed and implemented together to a solution with the MBK competence team. The short production failure of the machines in the repair case is also the result of the living service idea and a gigantic construction of global service bases. In addition to well-trained service personnel, spare parts are available in the shortest possible time. MBK also offers attractive modernization concepts for older generations of MBK machines as well as interesting conversion possibilities for adapting the applications, expanding the areas of application and increasing production performance. 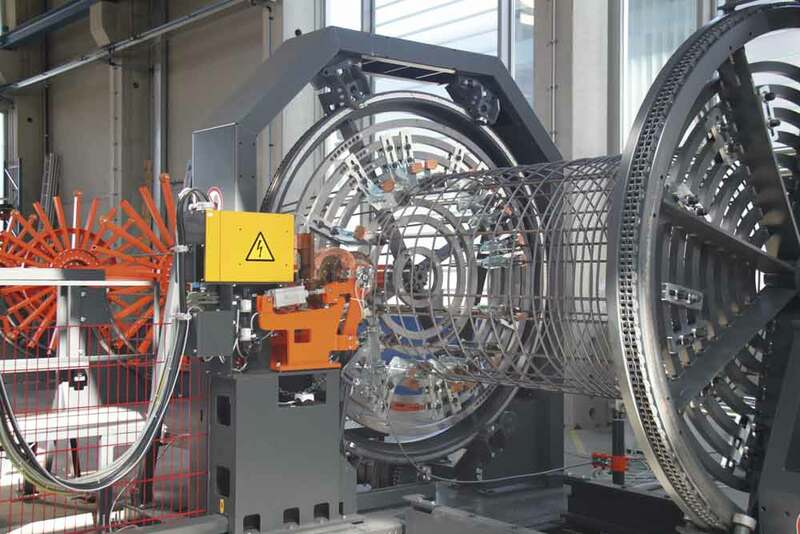 The retrofitting of safety concepts according to state-of-the-art technology is also often decisive for the production safety in the future. All these aspects are part of a professional innovation performance at MBK. So that our customers are always a very decisive step ahead!